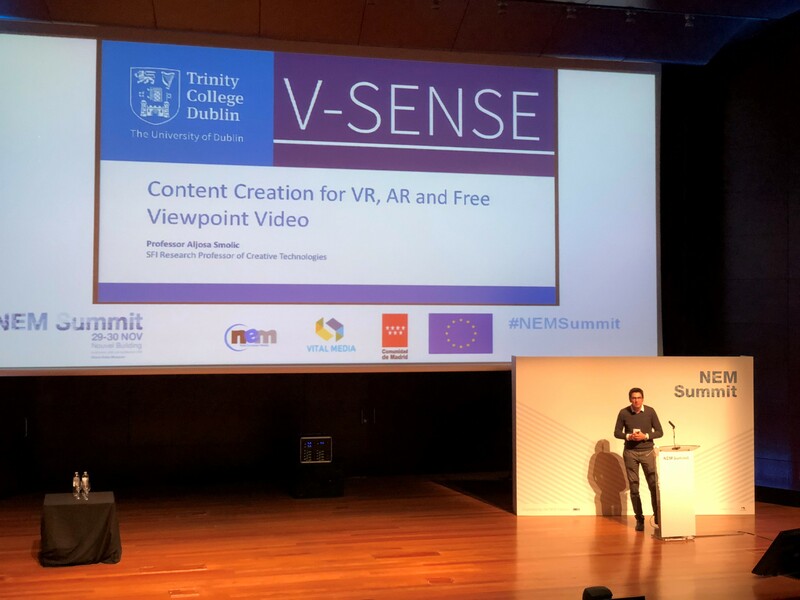 VR, AR and Free Viewpoint Video at NEM Summit 2017! On Wednesday, 29th November, 2017, Professor Smolic was an invited speaker at the NEM Summit 2017 in Madrid. The Summit took place at the beautiful Museo Reina Sofía, Madrid. Professor Smolic was joined by Andreas Ehret, Vice President of Broadcast Technology, Dolby, Harini Hariharan, Saarland Informatics Campus, Saarland University and many more inspiring speakers. Further information on the NEM Summit can be viewed here. 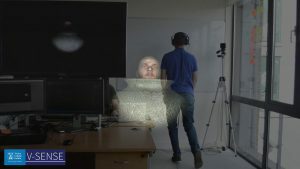 V-SENSE was successfully selected as a finalist for the NEM Art and Design Competition for our work on the Virtual Play: after Samuel Beckett. Congratulations to the team for their excellent work and getting to the finals! It is an opportunity for Innovative Technologists and Artists from Europe to submit their own creations, utilizing new technologies such as Immersive (Augmented Reality / Virtual Reality), Artificial Intelligence & Machine Learning, Digital Manufacturing (e.g. 3D Printing), Internet of Things and Blockchain / Smart Contracts to illustrate how life and creative businesses can benefit from emerging technologies, inspiring new applications for tomorrow, and developing new opportunities for imaginative creativity. NEM focuses on an innovative mix of various media and creative content forms, delivered seamlessly over technologically transparent networks, to improve the quality, enjoyment and value of life. NEM represents the convergence of existing and new technologies, including broadband, mobile and new media, including creativity, across all sectors, to create a new and exciting era of advanced personalised services.